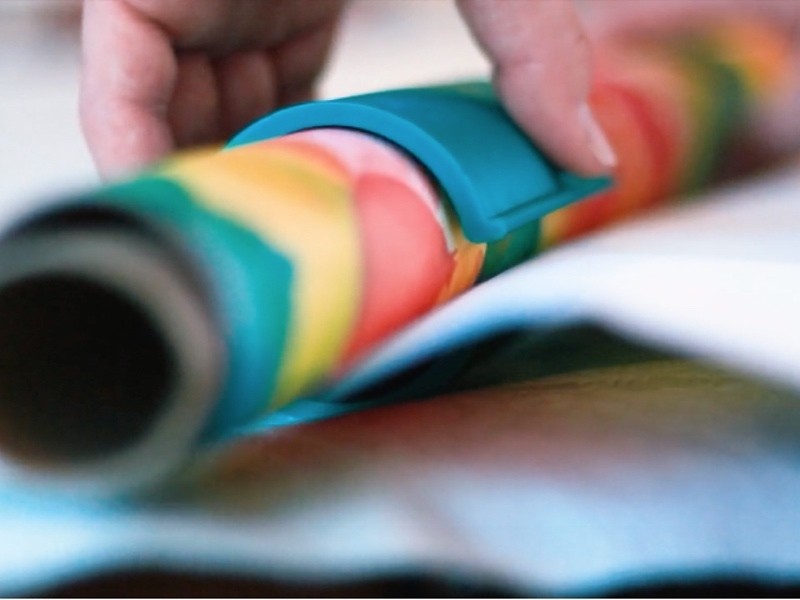 Easy Paper Cutter is a little tube that has a slicer on the side of it. 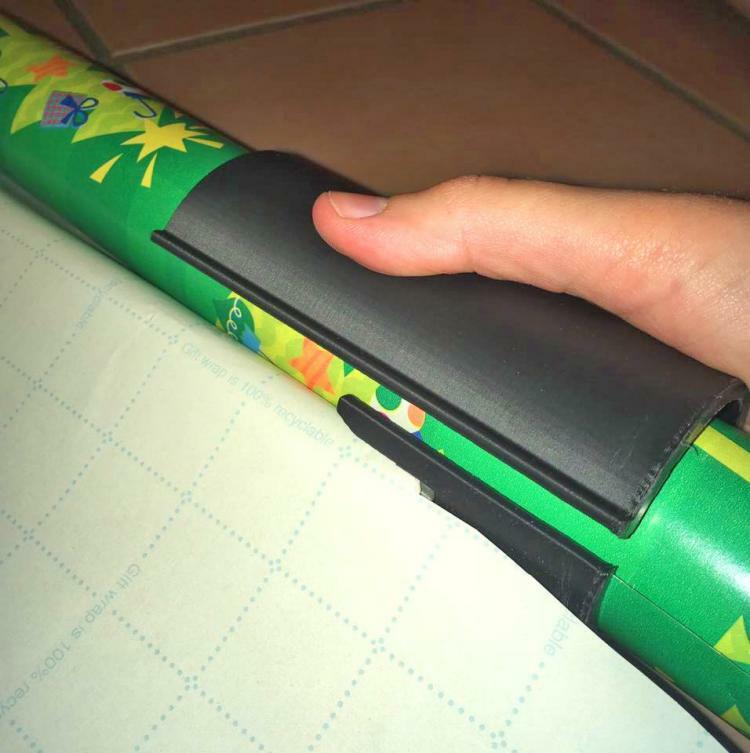 It also has an opening on the side of it that lets you pull the wrapping paper to Your needed length, then slide the cutter down the length of the paper to make a cut! It also makes a great wrapping paper organizer. Since the tool has a flexible fit, it perfectly holds Your wrapping paper in place while in storage so that it won't unravel. Slide it over the wrapping paper. Once the sheet of paper is the desired length, slide it to the end of the roll allowing the paper to drop into the slot where the blade is embedded. Gently push it forward to cleanly cut the paper. Bring it back to the center of the wrapping paper. It doubles as an organizer! Your paper will not roll away or become unorganized.